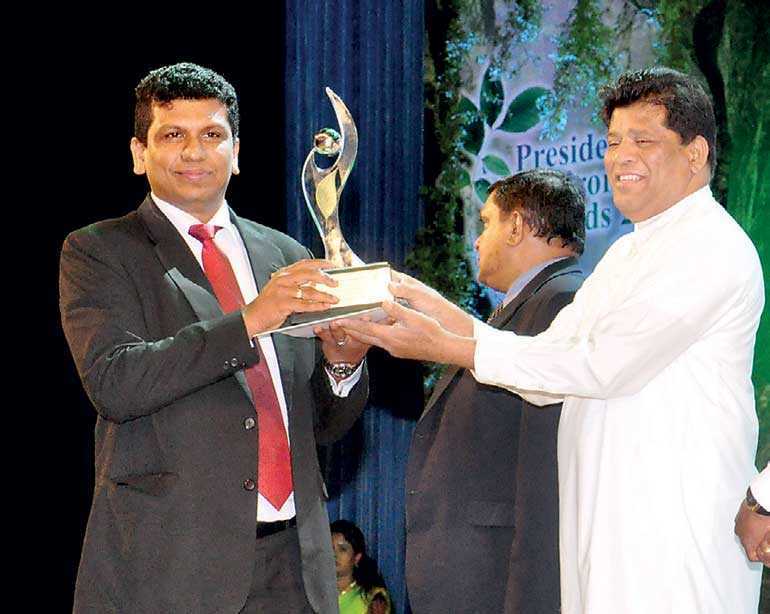 At the prestigious Presidential Environment Awards 2018 held recently at BMICH, Sri Lanka’s leading cement manufacturer INSEE Cement (Siam City Cement (Lanka) Limited), and the nation’s premier sustainable waste management solutions provider INSEE Ecocycle Lanka, amply proved INSEE’s dedication to making the world greener, winning two awards and clearly cementing their dedication to uplifting the environment as a company engaged in the Chemical Industry sector and Waste Management sector category. 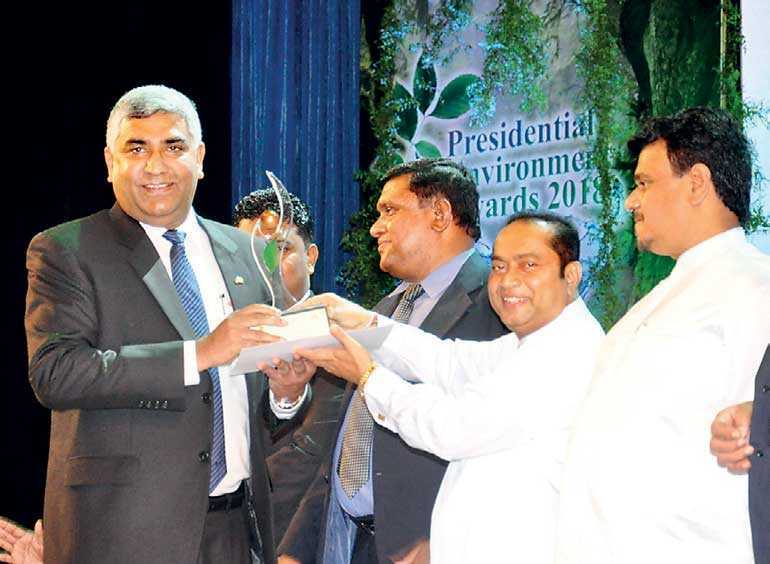 The Central Environmental Authority (CEA) Annual Awards reward service sector industries, as well as individuals, for their contribution to conserving the environment. CEA presented a Silver award to INSEE Ecocycle, a fully-owned subsidiary company of Siam City Cement (Lanka) Limited engaged in industrial waste management. A Bronze award was presented in recognition of INSEE Cement’s contribution to the green production process at the company’s manufacturing plant in Puttalam. INSEE Cement’s effort go hand in hand with the company’s objective of building brighter futures in Sri Lanka, while contributing meaningfully to the Government’s aim to launch an economically viable green era.